Individual aquabiking - Thanks to Aqua Bike Magic® aquabiking can now be an individual exercise. No need for group workout in pool. You can arrange your training whenever you want. Body redefinition - Workout on exercise bike submerged in water with hydromassage leads to burning fat and building up muscle. 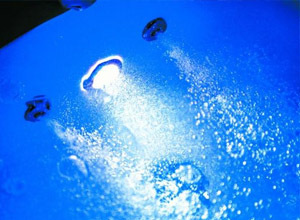 End of cellulite - Exercises in Aqua Bike Magic® quickly lead to good results in reducing orange-peel effect. 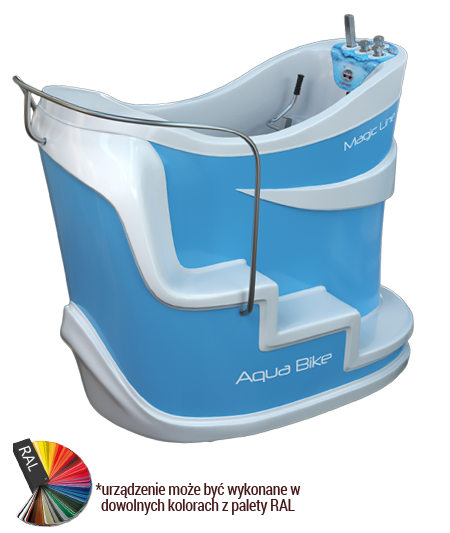 Without stressing joints - Aqua Bike Magic® delivering results for people of all ages, both for those who seek aesthetic changes as well as for those who want to relax during exercise. 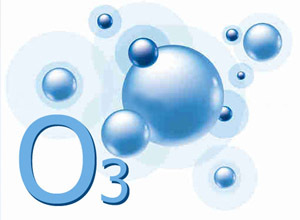 Mikropeeling - Ozone released during the treatment has an effect similar to micropeelling through the production of oxygen removing dead skin cells. All products can be manufactured in any color version. Colors are chosen individually from RAL palette. 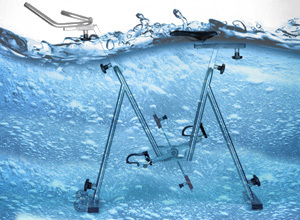 Form of exercise consisting of pedaling on a special stationary bike (Aquabike) immersed in water. Aquacycling combines the elements of aquaerobics and an exercise on a stationary bike. Body weight in water is lighter than in the air thereby reducing the load on the joints during pedaling. Water alone increases resistance and your muscles have to work harder. These features make Aquacycling good for people that want to model their figure. Released in the water combines with oxygen. Positive effect on the body. Filling with water, colortherapy (chromotherapy), hydromassage - water and air massage.